Last night I flashed my phone up to CyanogenMod 11 M8, and since then I’ve been putting things back the way they were and testing everything out. A few bugs were fixed from the M6 build I was running previously, and a few nice enhancements dropped too, everything was copacetic. But this afternoon I got around to testing Android Device Manager, Google’s integrated “find my phone” application, looking to reconfirm that I could locate my phone if it ever got lost, only to receive an unpleasant surprise. I’d log in to Google’s web application and have it persistently fail to locate my device. The map did not move, the “locate device” and “ring” controls did nothing, basically the tool was useless. This was very frustrating since (a) I knew it worked fine the last time I tested it, and (b) it’s a critical function that I wasn’t about to hazard living without. After checking and finagling with all the relevant settings on the device about six hundred times, rebooting a bunch of times, trying to flush cache data, etc., the realization finally hit me – damn it, it’s the browser, it’s IE. And lo and behold, it all worked perfectly in the instance of Chromium Portable I had lying around as a backup browser for web dev testing. Nothing was wrong on my device, nothing was wrong with Google’s service; it was Internet Explorer screwing up at presentation time all along. Googling around, as it were, I found confirmation from other users in a Groups thread dating from the last couple months that the application was failing on both IE9 and my installed version, IE11, but was known to work in Chrome. Now I’m not going to start pointing fingers because it’s difficult to say from outside looking in whether the fault lies with Google or Microsoft, and whether with engineering or management. You can dream up sinister reasons why either company would secretly conspire to sabotage the other’s product in a key use case. This might magically be fixed a month from now too; after all it worked fine on IE some months ago when I tried it last. Let me only say that the current condition is highly not cool, folks. While you’re playing at browser wars you’ve got panicked users who literally just lost their phone firing up IE – their only or primary browser – to use Android Device Manager to locate it, as they were promised they could, and concluding in error that their device is gone forever. That’s the impression that’s given from what they see, the non-moving map, the non-working controls. Your phone is gone. Only a small minority of those that fail at it the first go will figure out that it’s the browser. You’re generating angry customer service calls and having users tear their hair out breaking their phones and computers trying to figure out what’s wrong. Losing a phone feels awful as anyone who has ever lost one knows. So, no matter what you think about IE, an application as critical as this one has to work properly in it. Google, primarily this is on you – these are your customers. 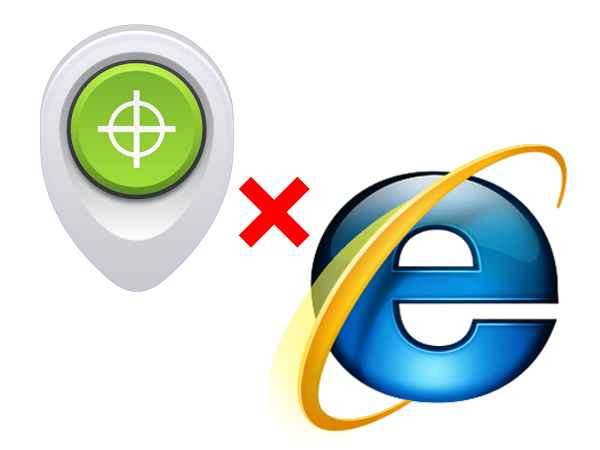 Please fix Android Device Manager on Internet Explorer.